The new fantasy drama Sleepy Hollow is shaping up to be a serious hit for FOX, and it shows: Only three episodes into its freshman season the series has been given a full renewal for next year. That’s a big vote of confidence for a new series, which at this time of year is usually lucky just to receive a “back nine” order for the spring, extending the initial order of 13 episodes to a full season of 22. 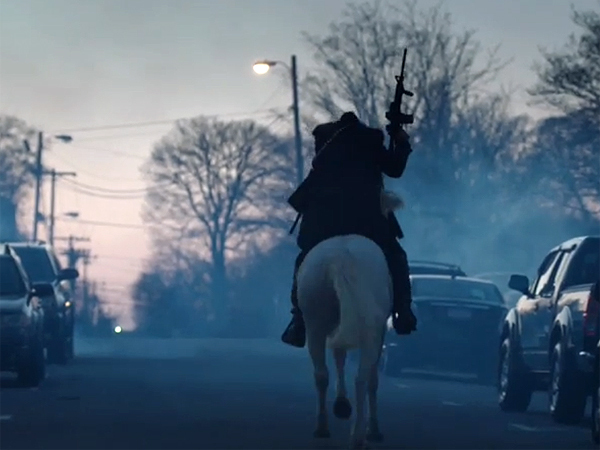 Instead, FOX is sticking with its plan to air Sleepy Hollow as a limited-run, 13-episode fall show, and then bring it back next fall for another 13. It will be replaced by the return of the Kevin Bacon drama The Following, probably in January, according to Deadline. And it’s really no wonder: the premise of a Revolutionary War hero who wakes up in the present day to help fight monsters, demons, witches, and the Headless Horseman himself is a marketer’s dream. The fantasy series nicely walks the razor-thin edge between campy and goofy, so far managing to stay on the right side. It has mixed horror elements with the weekly procedural, and has already dug into a complex mythology. 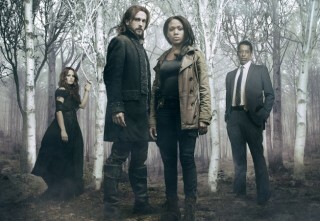 Add in a pair of strong leading actors in Tom Mison (Ichabod Crane) and Nicole Beharie (Abbie Mills), and Sleepy Hollow seems to have something for everyone. The September 16 premiere drew 13.6 million viewers (Live + 3 Days) — the network’s biggest launch of a scripted drama since 2001’s Kiefer Sutherland smash hit 24. That includes a very strong 5.0 rating in the 18-49 demographic. When we add in the episode’s Friday night encore, Video on Demand plays, and online viewings at FOX.com and Hulu, the network estimates that 22 million people have watched the show to date. Sleepy Hollow is co-created by Alex Kurtzman, Roberto Orci, Phillip Iscove, and Len Wiseman. New episodes air Monday nights at 9/8c on FOX. Stick with SciFi Stream for full Sleepy Hollow coverage, and head over to our show guide for more! Good to hear this. I’ve been enjoying the show a lot. I hope the writing stays strong.